During the early 1930s an extraordinarily gifted prophet began to emerge as a spiritual leader of a new ministry model. His name was William Branham. He was a very simple, uneducated man raised in the hills of Kentucky and ordained as a Baptist minister. Even so, God wonderfully graced this humble man with a revelatory gift and supernatural power not seen since the early Church. Not only were the miracles and healings that accompanied his ministry astounding, but he was also shown numerous future events with remarkable accuracy that now are a matter of historical record. Following a series of evangelistic meetings, Branham held a baptismal service on June 11, 1933, for new converts. Some four thousand people lined the banks of the Ohio River to observe and celebrate the service. While baptizing the seventeenth person, a whirling amber light descended from Heaven and rested directly above Branham. Virtually all the witnesses present could see this supernatural sign. Many eyewitnesses ran in fear, while others fell to their knees and worshipped because they recognized this was God doing something truly extraordinary. In this experience God gave William Branham a forerunner message for his life and ministry. I believe he was a token or prototype of an entire body of people who will emerge as Jesus’ bridal company. By his own acknowledgment, Branham was a harbinger of something new and fresh the Lord planned for the last days. This supernatural dimension will be commonplace in end-time life and ministry. Numerous news organizations picked up the story and circulated it around the U.S. and Canada. One headline read, “Mysterious Light Appears over Baptist Minister While Baptizing in the Ohio River.” The Jeffersonville Evening News reported the incident with the subheading, “Mysterious Star Appears over Minister While Baptizing.” Though many may debate the full meaning of the event, its authenticity is not disputed. This public display of God’s awesome power framed a heavenly intention. No design of Heaven is ever administered futilely. Every word and demonstration that proceeds from the mouth and hand of God will return fruitfully. A Kingdom message for today’s Church was sent to that prior generation—and we are responsible for its consummation. The Living Word desires to rest in His Bride. Jesus wants to become flesh once more and demonstrate His Kingdom power and redemptive virtue. If that episode on the Ohio River was just an isolated incident then we could be thrilled by such a display of God’s power and move on. However, that was only one of many expressions of God in the life of this forerunner. During his early ministry, Branham had several supernatural experiences for which he had no frame of reference or ability to understand. Neither he nor those with whom he was in ministry relationship comprehended the revelatory realm of God. Only the Bible provided any source of enlightenment; very few people had personally experienced this supernatural dimension of God. Unfortunately, most Christians at the time believed those kinds of expressions had happened in the Bible but did not any longer. Words like trance and vision rarely existed in the spiritual vocabulary of that day. The years after World War I were difficult. Few people had access to libraries or Christian material. Branham, raised in extreme poverty in the hills of Kentucky, certainly had no way of researching how God’s supernatural power had manifested throughout Church history. Nonetheless, the Spirit showed him things that would occur in the future. He shared those encounters openly with those around him. To everyone’s amazement, the events came to pass in precisely the manner he predicted. Tremendous healings frequently accompanied his revelatory experiences. It wasn’t until an angelic visitation on May 7, 1946, though, that Branham came to understand more fully the purpose and validity of the supernatural dimension into which he had been thrust. This minister of God was desperate to understand the spiritual realms he was witnessing or he would die trying. He set his intent on discovering whether his visions and trances were from God or from the enemy. He loved the Lord too much to allow deception to rule him. Branham withdrew to a secluded wooded area in rural Indiana. There was no food, electricity, or other provision. All he did was lay before God in humility and sincerity. Wonderfully, the Lord answered the cry of His servant. An angel was sent to Branham and told him about his life and calling in a face to face encounter. This heavenly messenger came to impart spiritual understanding and a divine commission. According to Branham’s personal testimony which he often shared publicly during the late ’40s and throughout the ’50s, something supernatural occurred late that night after many hours of prayer. A heavenly light appeared; it looked like an amber or emerald star of fire, illuminating the room around him. It was the same manifestation that had appeared over the Ohio River thirteen years earlier. At that moment Branham heard footsteps walking toward him and saw someone standing in the light. An angelic messenger greeted him as in the Bible: “Fear not, for I am sent from the presence of Almighty God.” The angel, according to Branham, was six feet tall and weighed approximately two hundred pounds. He had an olive complexion, with dark hair that touched his shoulders, and he wore a white robe that reached to his feet. As soon as Branham heard the greeting, he recognized the angel’s voice as the one he had heard throughout his youth and early ministry. An appointed juncture in Church history had arrived. The Lord was looking for a messenger to fulfill a divine mandate and to introduce the supernatural dimension of Heaven to a new generation. Clearly the humility and devotion of Branham captured Heaven’s attention and opened the door for this man to be used in significant ways. A plan, initiated before the foundation of the world, was set in motion for him. The time had arrived for destiny to be fulfilled. The angel informed Branham that he was called to take a message of divine healing around the world. The angel promised him that if he could get people to believe, nothing would hinder the fulfillment of his prayers—not even cancer. Branham introduced his generation, and ours, to the revelatory realm of Heaven. These signs and wonders acted as a platform to birth faith in the supernatural power of God. Notable supernatural impartation was released during this visitation. The angel told him that just like Moses, he would be given two gifts as signs of this impartation. Whenever he took a person’s right hand with his left, he would by revelation perceive the person’s physical condition. This was the first spiritual gift: it allowed the minister to detect through revelatory insight the specific illnesses, demonic oppressions, and deadly diseases afflicting the people. Whenever Branham prophesied a precise illness or condition, his listeners’ faith in God was elevated, allowing incredible healing and miracles. His first public healing meeting after his commissioning took place on June 14, 1946, in St. Louis, Missouri. Immediately creative miracles and phenomenal demonstrations of healing were generated on such a massive scale that theologians termed it an unprecedented event in Church history. As Gordon Lindsay once said, “There were no hard cases.” No matter how severe the malady, the Lord was present to heal. The angel promised Branham that God would give him a second gift if he used the first with humility. The next gift gave him discernment of thoughts and secrets of the heart and would take people to an even deeper level of faith. As Jesus’ encounter with the Samaritan woman at the well had, the unfolding of personal history and intimate secrets ignited faith. People rose above shame and unbelief and engaged the revelatory realm of Heaven. Their response is a prophetic model for our generation. The Bible declares that the living Word is alive, active, and a discerner of the thoughts and desires of the heart (see Hebrews 4:12). The gift of discernment offers a far greater dimension in God than the expression of a simple “word of knowledge.” It is a reflection that the Lord has removed the veil dividing soul and spirit, and all things are open and exposed to Him. When operating in the gift of revelatory discernment, Branham would stand before the people and communicate, by supernatural insight, their name, illness, history, address, private prayers and desires, and many other secrets known only to the Lord. Those present in those meetings testify that this dimension of God generated a tangible expectation of faith. People believed that anything was possible in such an atmosphere of heavenly anointing. The messenger from Heaven shared many things with Branham during their lengthy conversation. Branham’s ministry introduced a different dimension in God, not seen or demonstrated on such a scale at any time throughout Church history. Its foundation was a union with Christ, with the Lord living in the midst of His people and doing, through them, the same works that He did while on earth. Following his angelic encounter, Brother Branham emerged with a deep anointing of revelation and power that directly or indirectly touched millions of people and launched a worldwide revival. Countless thousands were miraculously healed of the most hideous infirmities and deadly diseases during the ministry of this man and others who followed. Naturally, God puts His great treasures in earthen vessels. Like all human beings—with the exception of Jesus Christ—Brother Branham made mistakes and missteps along the way. Even so, his revelatory encounters were marked with uncanny accuracy. It is the revelation of Heaven that is of paramount importance. But just as important is the proper stewardship of the treasures of insight and wisdom with application today; we must carefully unfold God’s blueprint. A divine presence distinguished Branham’s life and ministry. The living Word discerned and communicated through Branham the thoughts of the heart with profound precision. He was given glimpses into the plan and destiny of Heaven for individuals and corporate bodies. His ministry was a forerunner model that foresaw the impact of a body of Believers who will emerge in our day and embody the living Word. The signs and wonders that follow will release a bridal revival that will be identified according to John 14:12—a “greater works” generation. It is always wonderful to recount stories of God’s goodness to people. However, there is much more for us to understand about God’s dealings with Branham’s generation. A platform had been established for heavenly truth, and we must comprehend the significance of this type of ministry for our generation. These events were much more than revival; they were the beginning of end-time ministry; they pointed to a generation of destiny prophesied in Scripture. As with Moses, these signs were given so that the people would believe. The time has come to revisit the awesome visions given to this godly man, along with the other pieces of the divine puzzle entrusted to other Christians. Like Daniel studying the prophecies of Jeremiah, we should meditate upon these supernatural encounters to extract their application to both Branham’s time and our own. We can learn from past mistakes and extract the seeds of God, replanting them in the soil of our honest and sincere hearts. As in the days of Moses and the Lord Jesus, the enemy recognizes times and seasons that mark the appearance of spiritual deliverers. Rampant abortion, murder, and suicide should be a clear indication of the efforts used by the enemy to stop the emergence of mighty spiritual warriors. He wants to snuff out those endowed with the virtue of Heaven to carry out the plan of God. A day of destiny is upon us. The “victorious ones” mentioned in the prophecies of Joel are being prepared to emerge as an army, the bridal company joined to the Bridegroom. With that brief history in mind, we should revisit a trance given to William Branham in June 1933. On that day he was taken in the Spirit and told of Mussolini’s impending invasion of Ethiopia and eventual death in 1945. Branham was shown that an Austrian named Hitler would rise as dictator of Germany and lead the world into another war. He was also shown that America would be drawn into a Second World War under Roosevelt’s leadership and likewise saw a specific location where many Americans would die in battle—a prophetic picture of the place known as the Siegfried line. Furthermore, the vision emphasized that there were three “isms”—fascism, Nazism, and communism—to watch for. The first two would come to naught, he was told, but communism would continue to flourish after the war. He was specifically informed that Russia would play a prominent role as a world power in the future. Along with the political events, other insights were given concerning science, the moral decline of the nations, and the spiritual compromise and confrontations of the Western Church. All these spiritual forecasts were shared publicly years before they actually occurred. In one insight, Branham was given the year 1977 as a pivotal time. Although he acknowledged that he didn’t understand the full implications of that year, Branham predicted that something major would occur in 1977 to mark the end of the Laodicean church age. He was careful to note that the prediction was not a “thus saith the Lord” like the other world events revealed in the trance, but rather a calculation based on the insight from the revelations. As the years passed, this personal prediction prompted a lot of misunderstanding. Many people believed that he was foretelling the rapture of the Church or the return of Christ. However, that was not what he had stated and, furthermore, the Bible plainly declares that we will not know the day nor the hour of those events. Something spiritually profound did occur in 1977, though. God had a grand design that was meticulously falling into place for a future generation through the numerous supernatural wonders He was performing. Great spiritual investments were being made to position us for an inevitable day of destiny. The transition into our day had begun. 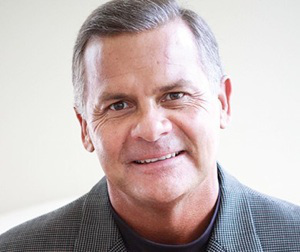 In 1977, Roland Buck, a dearly beloved pastor of an Assembly of God Church in Boise, Idaho, visited Heaven’s throne room, initiating a string of visitations from the angel Gabriel. On twenty-seven separate occasions, this archangel, often accompanied by other ministering spirits and warring angels, visited with Buck. In October 2002, Wanda and I had the privilege of spending a morning with Roland Buck’s widow and daughter in Boise, Idaho. They shared with us some of the highlights of Buck’s encounters with the messengers from Heaven, and unquestionably something of notable prophetic consequence occurred during those few years. An appointed time, set by the Father Himself, had arrived, for in Buck our Lord found the qualities He desired. If the angel Gabriel is sent as a messenger, it behooves us to discover the heart and strategy of the Father in that endeavor. The Bible records that universal transitions and transformations occur following visitations with this particular angel. While we only desire Jesus Christ and the life He gives us, history clearly indicates that significant world events occur when we encounter high-ranking spiritual beings like Gabriel and Michael. That pattern continues today. The angelic messenger told Buck many of God’s plans in preparation for the latter-day confrontation with darkness. Gabriel highlighted emphatically the power of redemption purchased through the Blood of Jesus Christ. He stressed that very few Christians fully comprehend or appropriate the power imparted to them through heavenly grace. Many walk well below their allotted provision because of deceptive and seductive spirits that steal their heritage in Christ. Buck was also informed of Heaven’s concentrated efforts to bring workers into the Kingdom in preparation for a great harvest. He was shown how angels are assigned to labor together with the saints. When Believers pray earnestly for loved ones’ salvation, angels are empowered to awaken the lost in their cooperative work with the Holy Spirit. Throughout the visitations, Gabriel emphasized the importance of communion with Christ and intimate fellowship with God. The Lord Jesus is looking to sanctify wholly the spirit, soul, and body of a company of Believers and take up residence in them to do greater works. Yet Heaven’s endowment for these greater works will only be unleashed by radical intimacy and friendship with God. Waiting on the Lord will be the key to launching many into the mystical realms of Heaven. Gabriel also highlighted the prophetic implications of the feasts of Israel. The careful and meticulous plan of Heaven is being carried out. The Lord has provided the blueprint through His Word, and now revelation and insight are being apportioned and authority delegated to actualize that Word. Clearly the visitations of the archangel Gabriel were addressing the maturing of the times and the emergence of the saints. 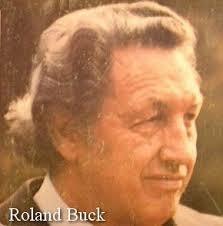 Buck’s experiences marked a transition from what has been known as the Church ages into a more complete revelation of the Kingdom realm. Most importantly, it marked the passage into a day when the fullness of the overcoming King will be introduced. We are entering the days in which we will taste the good word of God and the powers of the age to come. Fresh releases of power and authority are being entrusted to an overcoming body of Believers. We must claim this revelation of Heaven and walk in the destiny ordained for this season. Came across your website. Have similar passion for revival in Scotland. Just completed a book, recounting many revivals that most people in Scotland know little or nothing about – going to be called ‘Glory in the Glen’ – check it out if you fancy – should be out in about a month. I’ve stumbled upon this page. The words and mini vids are so exciting. They are pertinent to myself, although I’m English, they build upon what God is revealing to me in this time of ‘transition’ for me (My word linked into yours earlier on)and so much inside of me He is touching. Hi Stephen, thank you for putting this soul-shaking and awe-inspiring article up. It is so encouraging to know that we are entering into a new and unparalleld level of his Glory and wonders. Reading about how there will be a new radical generation for Christ challenged me to the uttermost as I think that in these last days-more so than ever before-it is so easy to grow complacent. And miss out on the fullness of one’s destiny. As soon as I finished reading through, the song Holy How He Loves rose up in my spirit. Keep up the good work-God bless!